Posted on 10, November 2016 by EuropaWire PR Editors | This entry was posted in Aviation & Aerospace, Italy, Telecom and tagged ASI, COSMO-SkyMed Second Generation program, CSG, Italian space agency, Thales Alenia Space. Bookmark the permalink. ROME, 10-Nov-2016 — /EuropaWire/ — Thales Alenia Space, the joint venture between Thales (67%) and Leonardo-Finmeccanica (33%), announced today that it has signed an amendment to the original contract for the COSMO-SkyMed Second Generation (CSG) program with Italian space agency ASI. Worth 77 million euros, this contract is vital, since it covers the remaining operations to complete the program. Thales Alenia Space Italy will receive 66 million euros of the total, while space services affiliate Telespazio will receive 11 million euros. Thales Alenia Space Italy is responsible for the overall COSMO-SkyMed Second Generation program, including construction of the two satellites, while Telespazio is responsible for designing and developing the ground segment and providing the integrated logistics and operations services. Leonardo also contributes to the program by supplying attitude sensors and state of the art equipment that will process and distribute electric power throughout the satellites. 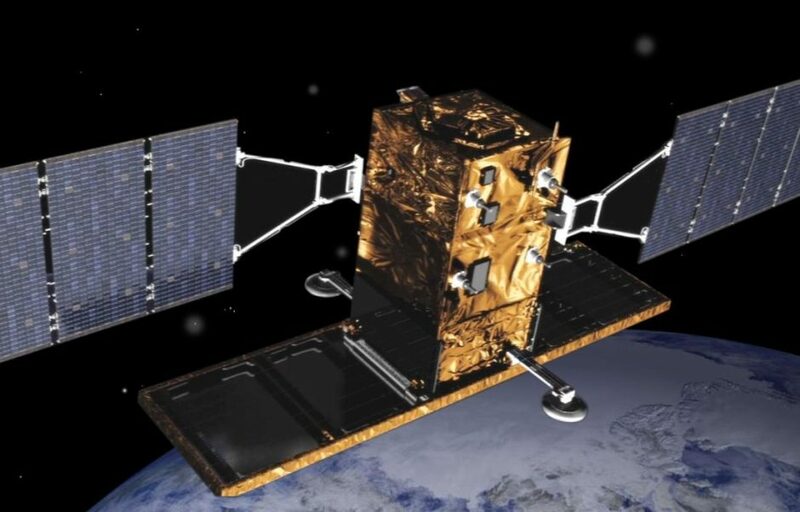 This contract kicks off phase D2/E1 of the program, which entails all operations needed to complete construction of the second satellite (FM-2), the launch of both satellites and the verification and operational validation of the entire system with the two satellites in orbit. The launch of the first satellite is planned in 2018, with the second following a year later. These state-of-the-art satellites feature the last technologies and engineering solutions. The overall system, including the ground segment, will set the performance standard for space-based radar observation systems, in terms of precision, image quality and flexible user services. It is designed as a “dual use” (civil/military) system, to meet the requirements of scientific, commercial and government customers. Ever since the launch of the first satellite in 2007, the COSMO-SkyMed program has been an exceptional tool for observing our planet. With its innovative operational capabilities, it contributes to the continuous monitoring of the Earth’s surface, to safety-related needs and to the management of natural events, as shown recently by the damage assessment activities and support to rescue operations following the earthquakes that hit central Italy. The development of the COSMO-SkyMed Second Generation system will guarantee a quantum leap in terms of technology, performance and service life, consequently, strengthening Italian leadership in the Earth Observation sector on a global level. Moreover, strategic international partnerships, such as those already established with France and Poland regarding the COSMO-SkyMed reception and processing of data and data products, will also be extended. COSMO-SkyMed, financed by the Italian space agency, Ministry of Defense and Ministry of Education, University and Research, is the first dual-use Earth observation system. Its four satellites monitor the entire Earth from space, day and night, under any weather conditions, using high-resolution X-band radars. The program was developed in conjunction with both large aerospace corporations and a number of innovative small businesses. Thales Alenia Space Italy is the prime contractor, responsible for the entire system, including both space and ground segments. Telespazio developed the ground segment and hosts the Constellation Control Center at the Fucino Space Center. Telespazio, a Leonardo and Thales 67/33 joint venture, is one of the world’s leading operators in satellite services. Its activities range from the design and development of space systems to the management of launch services, from in-orbit satellite control to Earth observation, from integrated communications, satellite navigation and localisation services to scientific programmes. Telespazio plays a leading role in the reference markets harnessing technological experience acquired over the years. Since its establishment, the company has participated in major European space programmes such as Galileo, EGNOS, Copernicus and COSMO-SkyMed. In 2015, Telespazio generated sales of EUR 632 million while employing approximately 2,500 people worldwide.